The cloud may be complicated, but businesses should still actively be considering this move. The reality is, companies are made up of people, who are only human, and human error is one of the biggest factors when it comes to data breaches. Often, unwitting but trusted employees or insiders are to blame. E-mails that have gone to the wrong place, stolen devices, well-intentioned IT 'cowboys' with full system access - these are all examples of mistakes that could be wholly accidental, but the fall-out potentially is still devastating. Added to that, businesses have to contend with malicious employees who intentionally set out to steal or damage data, as well as cyber criminals who look to gain data through malware and phishing, stolen identities, or leveraging on stolen credentials. However, one thing is common to all these scenarios: humans. Human intervention and human error are not unique challenges to security concerns - and similarly, security concerns are not unique to the cloud. Security is a human issue. However, what if the biggest reason stopping businesses from going the cloud route was taken off the table, and it became a non-issue? Would moving to the cloud then be a good idea? Worth investing in? While moving to the cloud can be complicated, below I've listed my top reasons why businesses should actively be considering this move. It may open up a whole new world of possibilities. The cloud is more cost-efficient for a company than maintaining its own servers, and inevitably makes IT resources more affordable. It also enables start-ups or companies with smaller IT budgets to leverage some of the same resources as the bigger corporates. Be wary though - all businesses should be vigilant about public cloud platforms or services accessed by the business, or employees connected to the business network. Thanks to its agility and low costs, some reports suggest 78% of companies will be using the cloud in about three years. Security is a human issue. That also implies a few very powerful companies will potentially hold the majority of services in key sectors - such as banking, telecommunications and transportation - around the world. Successfully targeting a cloud provider will become a booming business for cyber crime groups. I think this is already being seen to a degree, with the personal information leaks that have hit some famous people lately. Even more reason for companies to spend the money on quality, clever and best practice security. Increased innovation speed is perhaps one of the lessor known benefits of moving to the cloud. Freeing up IT staff from what can be mindless server maintenance, frustrating user support and ever-boring clean-ups gives them the time to be creative and think outside of the box. It affords them the time and space to solve business problems, or create new services for users and customers. However, something to consider when looking at business re-investment is that the digital cloud has a physical substance. 'The cloud' is made up of thousands upon thousands of computer servers that have an actual physical presence. And those servers aren't powered by magic, they're powered by electricity. If that electricity is produced by fossil fuel sources like coal or natural gas - which together provide nearly three-quarters of US power - the magical cloud may leave a very dirty footprint. I've written about my views on the role cloud servers play in a deluge of digital waste before, and my views on this remain unchanged. I maintain that for any company which prides itself on its business, products or practices being "green" and "sustainable", keen consideration should be given to the environmental practices of the cloud service partner before it is appointed. Overall, though, whatever a company decides to choose, there is no doubt the cloud is a powerful and attainable platform that can transform any business. 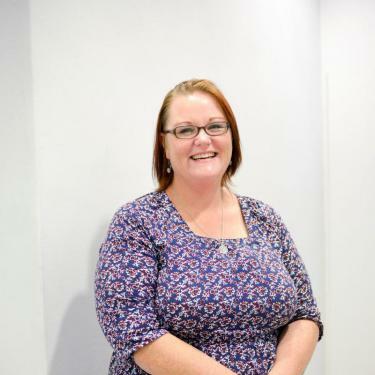 Jessie Rudd is a technical business analyst at PBT Group, a position she has held since 2011. In this role, she is responsible for combining data analysis assignments and researching new technologies in this space. Rudd holds training in IT (computer management) and has been exposed to a number of industries over the past 10 years, including BI, financial services, retail, market research, as well as corporate functions such as call centres, human resources and IT. This broad experience allows her to grasp the complexity attached to converting data into intelligence. Rudd has a passion for investigating new technologies and making others aware of them, as well as finding the most efficient tools for successfully undertaking a required task.